I'm the one, who made the SEGA PICO adapter! if someone is interested in such an adapter, i can now offer to make one or two of them! As i have to destroy an console for each adapter, and also a Megadrive-Cartridge and need about 2-3hours to wire everything together...the price will be about 100eur for each! This adapter can currently read about 90% of all PICO games, the other 10% would need a firmware-update for the retrode, as it reads the games too fast currently. Wouldn't it be possible to make adapters like this without actually destroying SEGA Pico units? no! the pinout-layout of the PICO is extremely unique...it's not possible to use any other slot. we already tried many other slots, but none worked...so it's the only possible way to built a working adapter! btw. you get japanes PICO consoles cheap in Japan (for about 1 - 2 euro) but the shipping to Europe costs about 65 euro for each console! So if you find someone in Japan who would wire such an adapter, the costs would be reduced to maybe 20euro per adapter! AFAIK the N64-carts don't use batteries but EEPROMs to keep saves. If that's true, your saved games should indeed be safe for a looooooong time! I'm the one, who made the SEGA PICO adapter! Just out of curiosity, does your adapter also play the games on a regular Mega Drive console? so maybe the games boot...but you won't have sound and can't control anything! Hey Matthias, regarding the SMS plug-in, would a Card Catcher work to get dumps of Sega Cards? As far as I know, all the Card Catcher does is redirect the pins, but I know that there are all sorts of oddities regarding the differences between Japanese and American pinouts for the SMS, so I thought I'd ask. I recently picked up a set of SMS games at a garage sale, and some of them are Sega Cards, so I'm hoping this will work so that I can dump them all. From reading that article, the Card Catcher just maps signals to the relevant pin on the Mark III connector. As the Master System and Mark III carts are not pin-compatible, it wouldn't work plugged into the Master System plug-in adapter. Shame really as it would be a very neat solution for reading the Sega card games. Sounds like you should be able to make one that does work though, just map the correct signals from the card edge to the Master System edge. From reading that article, the Card Catcher just maps signals to the relivant pin on the Mark III connector. As the Master System and Mark III carts are not pin-compatible, it wouldn't work plugged into the Master System plug-in adapter. Shame really as it would be a very neat solution for reading the Sega card games. Ah! You're right, I didn't notice that. Hmm, I'll have to get more creative.... I guess one could create a more direct adapter, but I hate circuits (and have a crippling inability to solder correctly besides), so perhaps I can find some odd set of adapters that could work? I wonder if this odd converter from Tototek plus the Card Catcher would work in the Retrode... or just with games at all in general. That adapter was mentioned in the Does the Master System adapter allow for Mark III cartridges? thread, where I said that it wouldn't work in the Retrode. 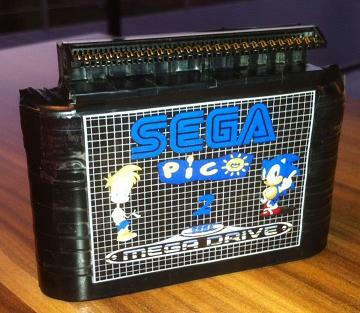 However, I see no reason why it wouldn't work with a card catcher, a Sega Card and a Mega Drive though. So is there any news about the N64/Gameboy plug-in? Last news I heard is that there was going to be N64 controller ports, which is awesome. How's the project going? Any release date soon? Oh, that's too bad indeed. Though in my case, as long as it does the job of extracting my library I'll be a happy man! So you can still count on me to dip for it! For the sake of my sanity, does anyone have a link to a table/chart for voltages for the cartridge adapters? Mainly the nintendo carts. Oh! I'll add that to the first post now. I knew it was missing something; surprised nobody else mentioned it earlier!